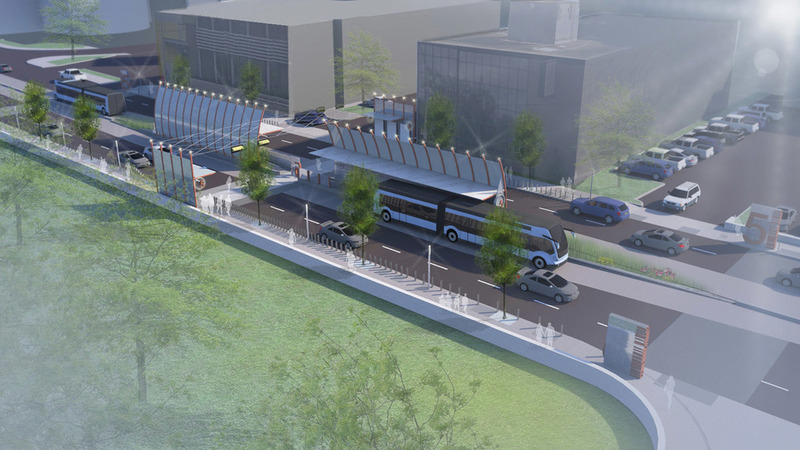 Hodgson Douglas provided the plans for Nashville’s BRT/AMP project. The AMP will be accompanied by a functional, beautiful and sustainable streetscape that will be enjoyed by all Nashvillians and visitors alike for generations to come. The intent of the EWC Corridor Streetscape is to provide a safe, iconic, unified and memorable experience for all users of Nashville’s bus rapid transit system. 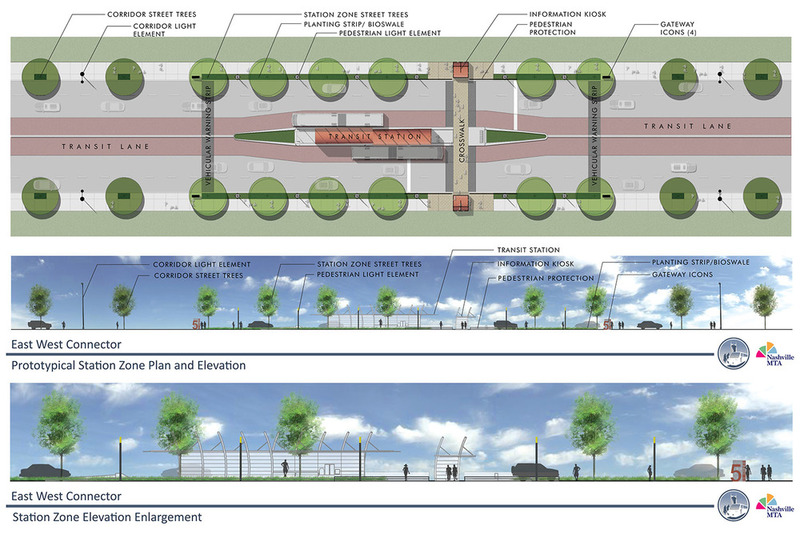 The AMP Corridor Streetscape is broken into four categories: Station Zones, Corridor Streetscape, Transit Streetscape and Finger Connectors. In 2005, Hodgson and Douglas worked with a design team to provide a Master Streetscape Plan for downtown Gallatin, Tennessee. The purpose was to create a downtown revitalization plan that would serve as an impetus for economic growth in the downtown area. Hodgson and Douglas analyzed the existing streetscapes and made recommendations for the development of downtown plazas, green spaces, new sidewalks, parking, lighting and landscaping. Included were several meetings with local stakeholders and residents. Various options for vehicular, sidewalk and open space renovation were reviewed. The audience was divided into groups, and each group or team created a plan for improvements. A facilitator was provided for each group and a presentation of each was made at the end. Each plan was voted on, and strengths and weaknesses were identified. The goal was to create consensus for design improvements. The project included the redesign of the historic courthouse square creating an open space for pedestrian gathering and special events. The green space in front of the City Hall was renovated. A new Farmers’ Market and parking was established. 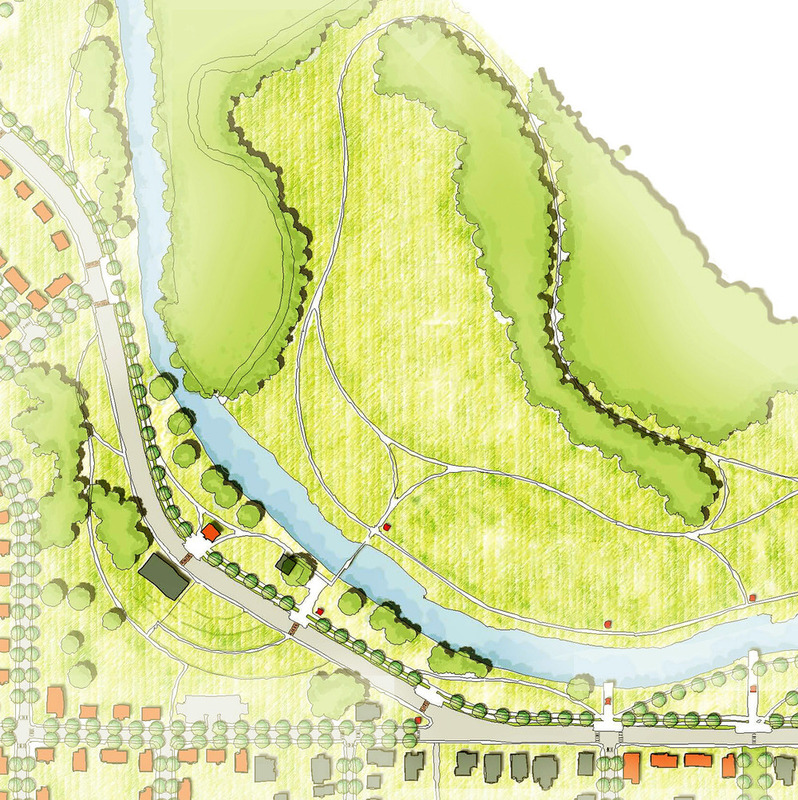 A new greenway was created along an urban creek. Gateways into downtown were created through masonry piers and landscaping. Project included street tree planting and landscaping on State Routs in the downtown. In May of 2013, a planning team led by Hodgson Douglas Planners, along with The Walker Collaborative and Kennon Calhoun Workshop were selected to create this “Vision Plan” for the city of Lewisburg that would focus on three areas of specific concern: Parks and Open Space, Corridors, and Downtown Revitalization. Directed by the Community Economic and Development Board, the planning team spent six months researching, interviewing key stakeholders, engaging the public, planning and “visioning” what a future Lewisburg could look like in the year 2035. The result is the Vision Lewisburg 2035 document.